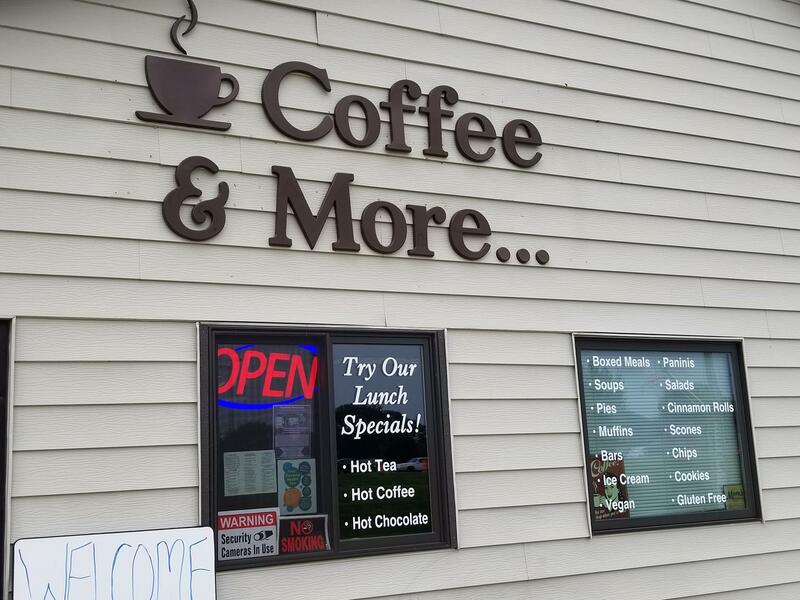 Coffee & More is located in beautiful Spicer , right off Hwy 23, near Green Lake and many other attractions including Big Kahuna Fun Park, Ball Diamonds, City Parks, Saulsbury Beach, Green Lake Mall, the BMX Bike Racing Track. We are just south of the Post Office on Progress Way. 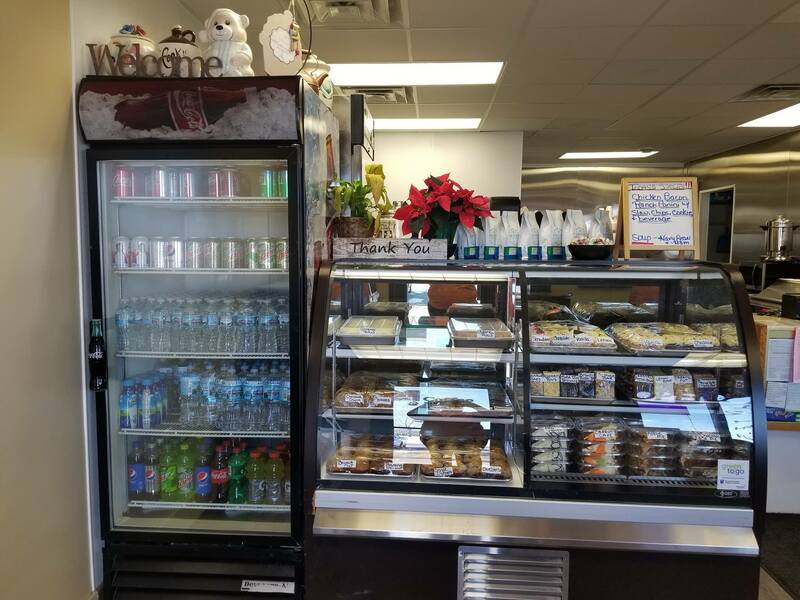 We serve Panini sandwiches and boxed meals, breakfast sandwiches, salads, soups, pastries & goodies, ice cream, coffee and other beverages. 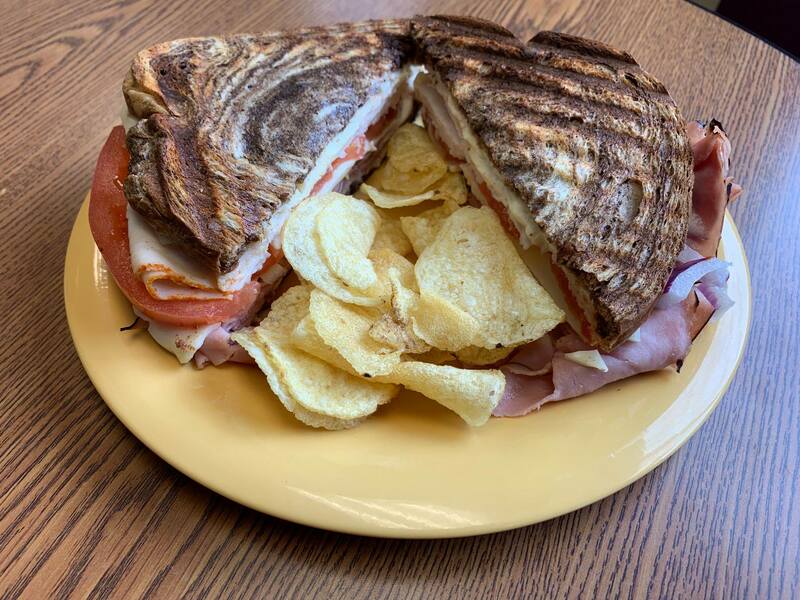 We have 8 Varieties of Panini Boxed Meals that include sandwich, slaw, chips, pickle and cookie or side salad or cup of soup. We offer Hemp milk, coconut milk and almond milk upon request for coffee drinks. We cater for meetings or any special event and delivery as well. Just ask us!